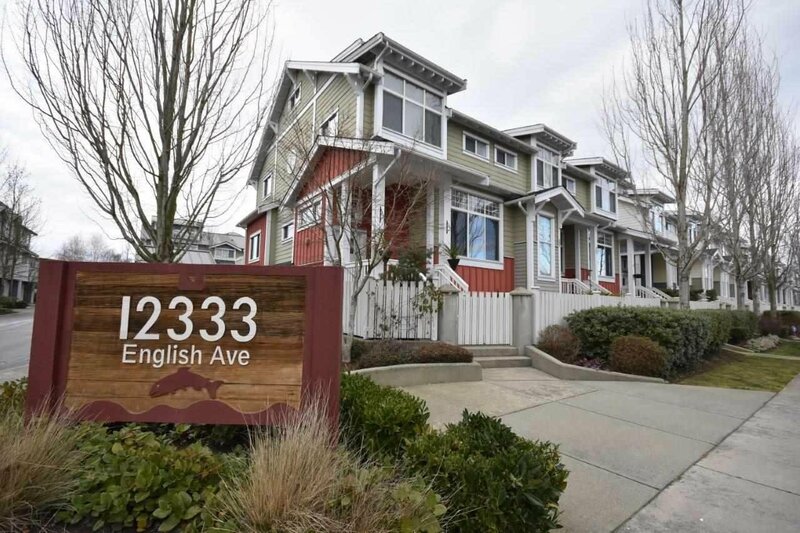 Simply stunning corner townhome in choice VILLAGE location steps from the water, shops, restaurants and all that Steveston Village has to offer. Spectacular spacious floor plan that boasts 3/4 bedrooms, 3 full baths plus a powder room. With windows on 3 sides it is beautiful and bright. Warm hardwood floors on the main and stairwell to garage. Large kitchen with tons of counter space & gas range. Dramatic vaulted ceiling in Master Suite that offers soaker tub, large shower & walk-in closet. The Loft space is an ideal getaway or perfect for guests as there is a full bath on that level. Pristine condition & designer décor. Choice complex in the heart of The Village. Sweet!